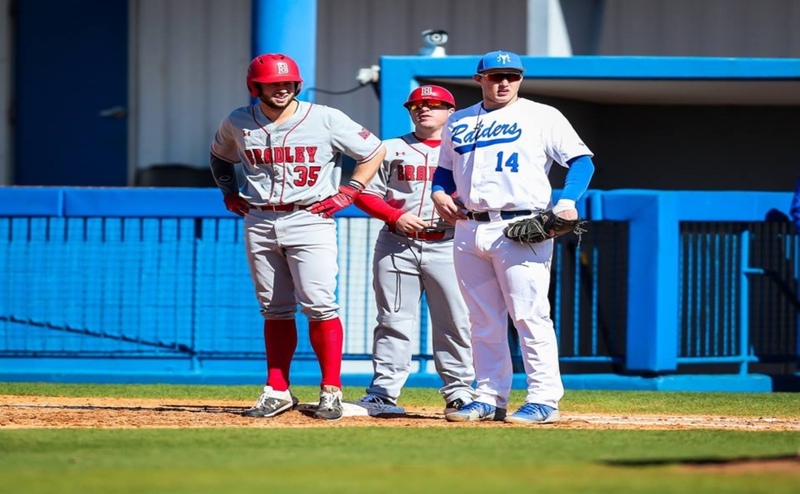 Middle Tennessee defeated the Indiana Hoosiers on Friday by a score of 5-3 to take the first game of their weekend series in Bloomington, Indiana. The Raiders are on a four-game winning streak following the game as well, with three of the four coming on the road. Offense seemed to come easy early on scoring three runs in the first two innings to go up 3-0. MT was able to score again in the fourth to go up 4-0 before giving up two runs in the bottom part of the fourth inning. Each team tacked on one more run late in the game, but there wasn’t very much excitement compared to the first half of the game. 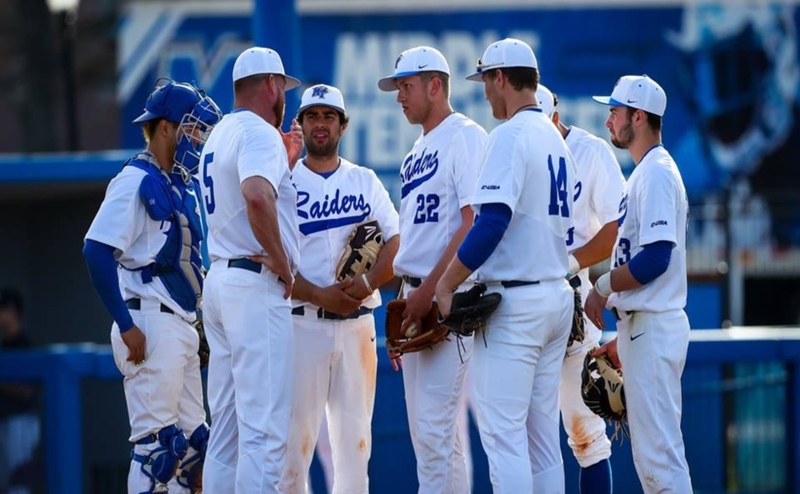 MTSU’s offense strayed from its usual middle inning explosions, as a majority of their runs came early today. Riley Delgado opened the game by making it to second after an error by an Indiana outfielder. Delgado was moved up on a groundout, setting up an Austin Dennis RBI off a sac fly to center field. Kaleb King started the second inning with a double, and scored on the next play off an RBI single by Blake Benefield. Benefield was brought around later in the inning after back-to-back singles by Chaz Vesser and Riley Delgado and the sophomore scored off a sac fly RBI by Kevin Sullivan. The Raiders ended their half of the second up 3-0. 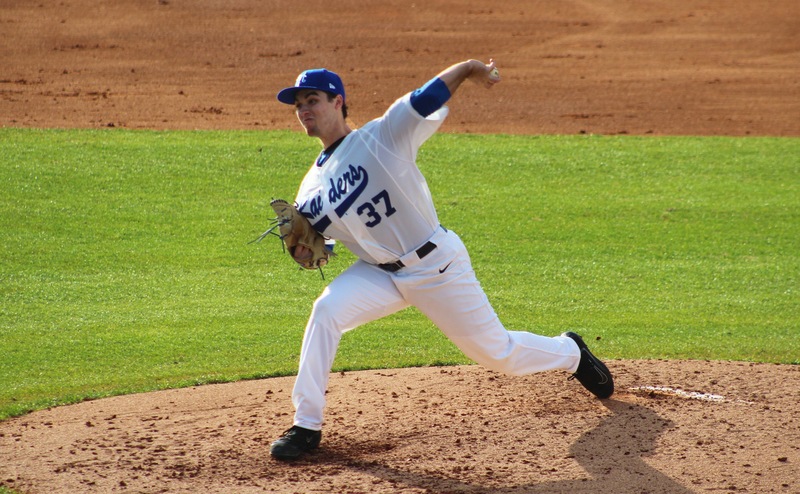 Jake Wyrick beat his career high in strikeouts with 11 in today’s game. His previous career high was nine, which he achieved last season against Lipscomb. Wyrick’s game didn’t give fans much to complain about. 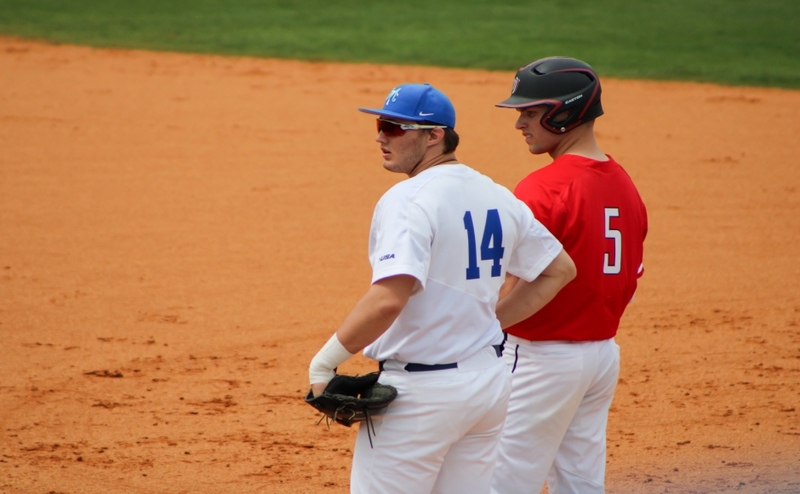 The Blue Raiders gave him a lead early on, allowing him to relax and play his best game of the season. He pitched seven innings, only giving up four hits, two runs and walking one batter. @ Indiana, 3/11, 1:05 p.m.
@ Indiana, 3/12, 12:05 p.m. 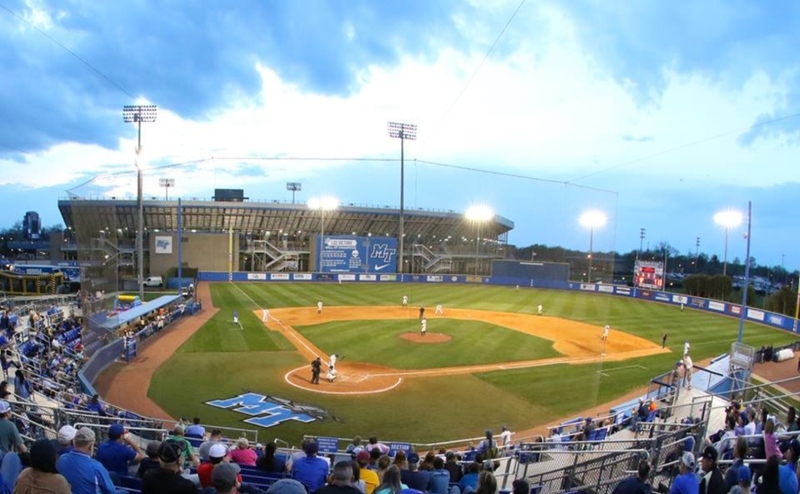 Follow MTSU Baseball beat writers Anthony Fiorella (@A_Fiorella74), Ryan Nixon (@RNixon32), and Stephen Smith (@StEvo_Shield) on Twitter for more coverage.